For the adventure loving people of Delhi, we are providing a list of 5 adventurous activities that you can enjoy over weekends. The best thing is that you need not plan things in advance, you can just pack your bags, take out your vehicle and reach the destination. The journey won’t take you more than 6 hours from one side. 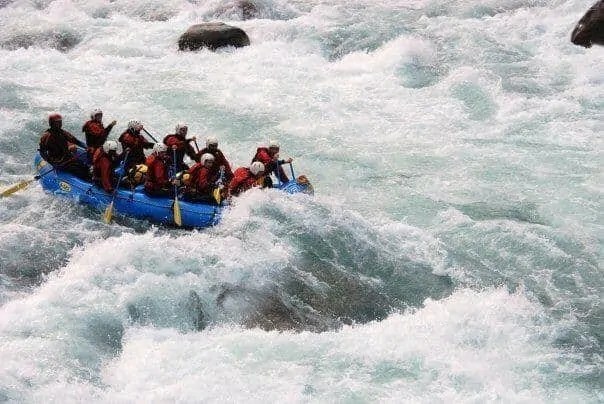 A popular spot for white water River rafting is Rishikesh, in Uttrakhand district. It’s a drive of around 275 kms from Delhi. You may conveniently reach the place by public transport. Overnight buses are easily available from Delhi that are destined directly to Rishikesh. Whether you enjoy water sports or are afraid of water, you should once give a try to whitewater River rafting on the Ganga. This would definitely be a lifetime experience and is certainly one of the best locations for the activity. While steering through the water and facing thrilling rapids, you are sure of experiencing the adrenaline rush. Imagine yourself falling from a height of about 80 meters freely in the air!! Even this thought is enough to make bungee jumping worth be called as a daring adventurous activity. 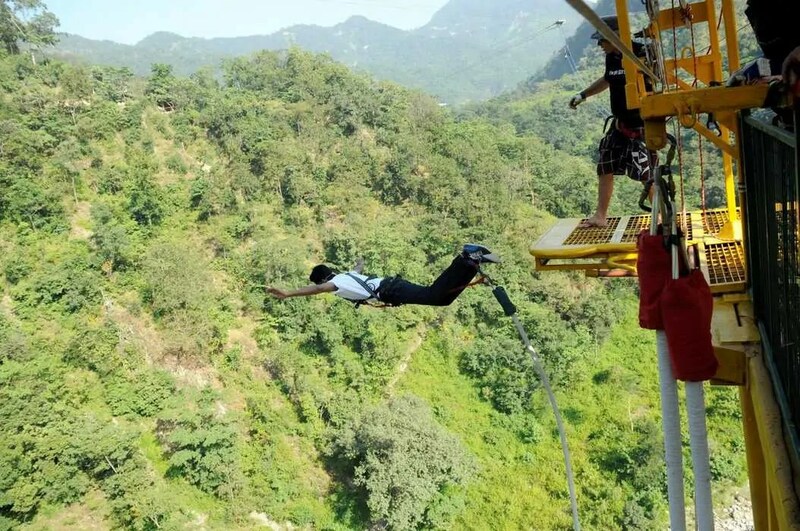 The free fall experience of bungee jumping in Rishikesh, nearest location for Delhi residents, is operated by a New Zealand owned company. They also provide the facility for photography and videos. 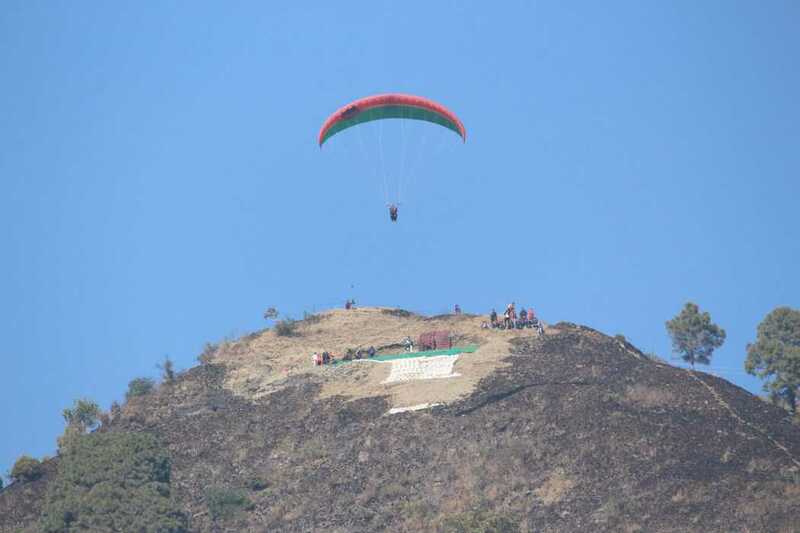 There are many locations in India, where you can indulge in Paragliding. We chose Sattal because its weather is most suitable and is the nearest location. Paragliding gives you the real feel of flying like a bird in the sky. A fascination of looking down to get a view of the city while flying at such a height is beyond words. It’s a little less risky because a pilot flies with you for controlling the glider. If you are looking for a less risky, but highly adventurous activity, than flying fox is perfect for you. Neemrana is approx. 120 km away from Delhi, it can easily be reached within 3 hours. While at another location, it is just an activity of 2-3 minutes that involves you slipping down from a height to ground with the help of a harness, Neemrana provides a complete tour. You can have breathtaking views of the fort, hills and ridges as you fly down. When you opt for River rafting, cliff jumping also comes as a part of the package. Water currents and level, down the cliff, is not very high and thus reduces the risk factor of this activity. Cliff height is about 20 feet. 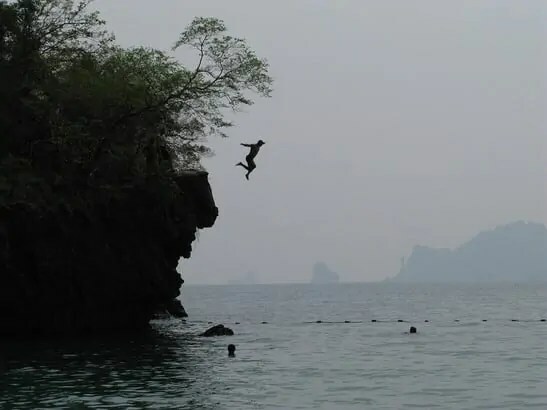 It will give you a combined experience of jumping from a height, diving deep in water and swimming. Because of the body weight and pressure, you dive deep into the water and comes out yourself within a few seconds. It needs courage at first to jump, but once you have stepped in, you would surely come out overcoming your fear of height and water. So, Delhi people, the weekend is around the corner, plan it and have not just fun but some daring experiences also. Whether you are a swimmer or not, whether you have fear of height or not, whether you want to fly or not, just indulge in these adventures and boost your confidence. ← Saket has a lot to offer and not just shopping and food.